* Group Discount Available! 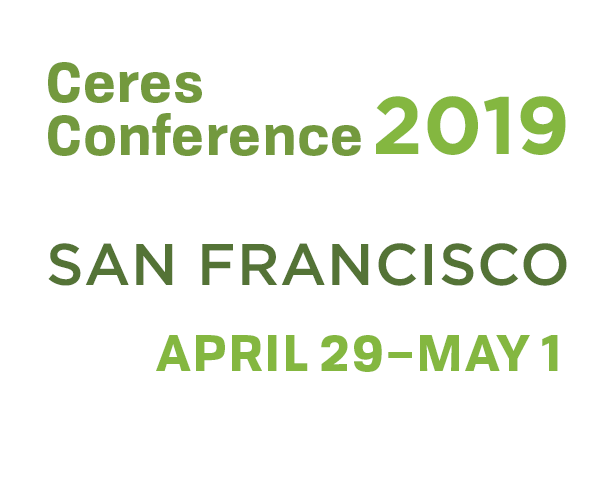 : A 10% group discount is available when four or more people from the same organization register for the Ceres Conference 2019. To receive the group discount, all participants must register at the same time on the same credit card. There are no exceptions to this rule. You can do this by proceeding through your registration, and selecting "Add Person" on the "Registration Summary" page. If you have any questions about this discount, contact mokas@ceres.org. 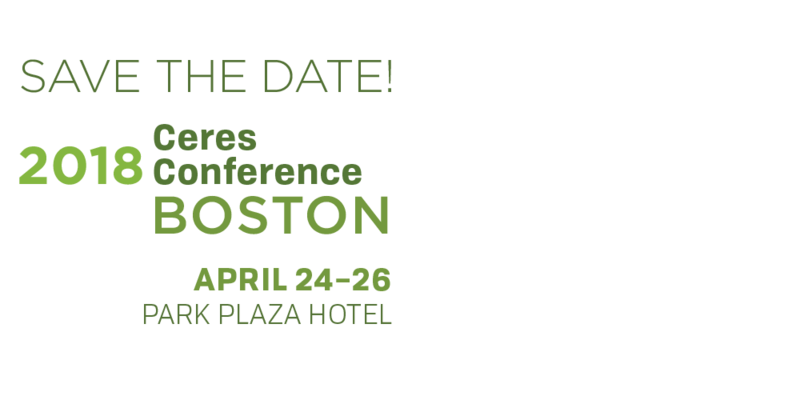 NGOs, academics, and government organizations already receive a discounted registration rate and therefore are not eligible for an additional group discount.